This evening I was editing a video to be uploaded, watching a YouTube video to pass the time, when my internet connection inexplicably died. "But wait!" I hear you cry (maybe). "What about Windows Network Diagnostics?" 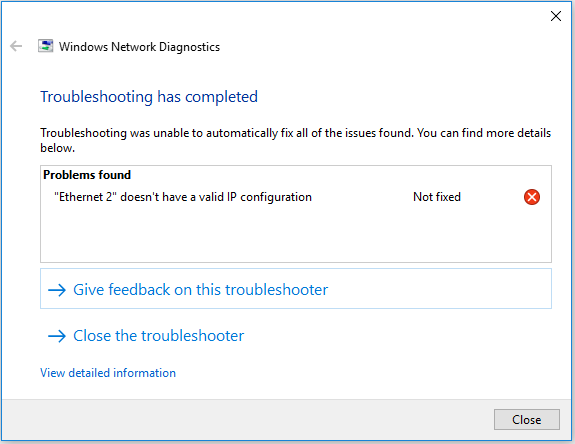 Yes, my browser suggested that I try Windows Network Diagnostics, and like a fool, I did. 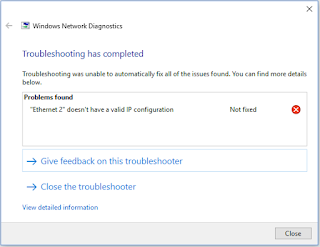 I'd love to hear from anyone who actually had Windows Network Diagnostics fix their internet connection for them. As far as I can see, what it does is showing you progress bars optimistically filling up, and in the meantime it tells you that it's doing various technical and positive sounding things, like "resetting IP configuration" and "flushing DNS". It also makes you wait long enough so that you think it's actually tried to do something, and then finally it says "Troubleshooting was unable to automatically fix all of the issues found"., the result being that you think it's done its best to fix the problem, but the problem is beyond even the technical expertise housed within the Windows Network Diagnostics tool. At any rate, I've no idea what my problem was, but restarting the computer fixed it. Finally, I've got not one but two new videos out on my YouTube channel - one is me telling a couple of stories from when I went to Dublin a few years back, and encountered a Chinese health practitioner, and the other is from my recent Robin Hood's Bay roadtrip, and shows me and my dad's epic mini pool tournament, so if you want to relax watching two grown men tackle a tiny pool table, that's for you.